Sign up for Broadjam today to follow Mike Cantwell - TalentEast Productions, and be notified when they upload new stuff or update their news! Santana Dance was #1 Electronic song in USA on "mp3.com" in 2002 and was on the Top 40 of all 1,500,000 songs. The song has been forwarded through TAXI over a dozens times. The parts of the song can be re-arranged in any order to suit the needs of the user. Driving beat, nice sounds. High quality song. I like it best going in about a minute. Hard driving kick. Good dance song. Can see this being played in a club. Good intro. Enjoyed some of the synth parts. Overall a cool song. Thanks for supporting Mike Cantwell - TalentEast Productions! 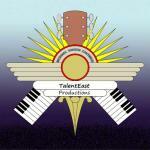 Would you like to help Mike Cantwell - TalentEast Productions get heard by industry pros by buying them a song submission credit to Broadjam Music Licensing Opportunities?